An inviting and long lasting scent for the modern man, Geo. 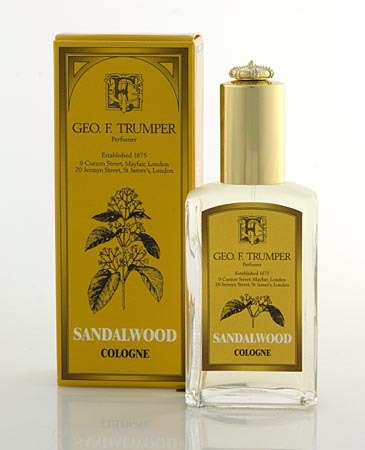 G. Trumper’s Sandalwood Cologne is a scent complex in its depth, but not overwhelmingly so. With the worlds’ highest quality ingredients in play, the combination of its citrus inter-mingling with sweet sandalwood and leather alone will sure to make you smell and feel like the most popular man in town.